At YourDMS we are always looking to utilise additional technologies that can improve the way we work and increase our efficiency. We recently moved our Invu Document Management system to the cloud. We talk to John Hulme, Operations Director and Ben Levit, Technical Consultant about the move and how it has positively affected the way the business works. Why did we decide to move our Invu to the cloud? JH: There were a number of reasons – we were looking at replacing our internal servers and decided that as cloud solutions were going to be a business model for us moving forward as an offering to our client base, what better way to prove the concept and benefits than on ourselves. Also, we were moving to a new office, and migrating to the cloud made that element of our office move a breeze. The support team finished work one day, and the next day they were in the new office working as they’ve always done. Brilliant! Did you encounter any problems during the migration? BL: It was a real learning curve. During the migration we found many more efficient ways of achieving the end result than our initial investigations had presented, with no negative impact on cost AND a very large positive impact on performance! What difference has it made to the way we work? JH: An unbelievable difference! I can work at speed from anywhere with internet access. A number of us have become quite nomadic in our working life and need to ensure that we’re connected to our office environment as much as possible. Invu is a fundamental part of our internal business processes, yes that’s correct, we actually use our own technology. So overall, access to our information is quicker than we have ever experienced, and from anywhere. BL: One of the main things for me, is that I have full confidence that the system is automatically backed up 24/7 to a Microsoft Data Centre. The other thing is performance – we’ve all noticed a massive improvement in performance, which allows us to work better and more efficiently. 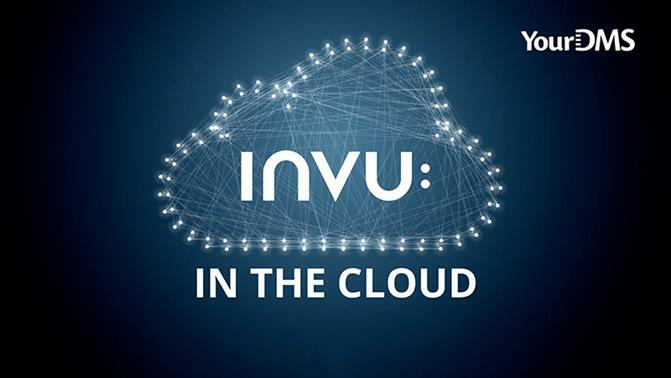 Why should businesses consider moving their Invu to the cloud? JH: Have I mentioned how fast it is? (John smiles.) Security is one of the biggest concerns, especially with all of the media attention around some household names being hacked and information being compromised. This is probably the largest part of our investigation due to the nature of our business; security and data integrity were paramount to our decision. You can have state of the art firewalls, SSL certification, business layers, anti virus and many more options to keep you absolutely secure and your data encrypted. If we need more memory, an additional processor core, more storage or automated back ups, we can do all of this at the click of a button, all with a transparent, additional cost. If we have a very large project and need some extra storage for testing purposes, we can arrange this very simply and when we’re finished, we can revert back to how we were before, and the costs have been minimal. Being Microsoft, all of the technology is of the best quality, specification and integrity. We know we’re getting the best of the best when we work with their environment. Finally, one of the beauties of the Azure platform, is that you only pay for what you use. So, as mentioned earlier, if we need to spend a little bit of money to upscale for a small period of time, we’re not left with equipment we no longer need or any agreements that we’re now tied into. BL: If Microsoft publish an update, we can administer this with virtually no downtime. And if you choose, the upgrade path can be automated, so you’re always on the latest versions without having to make any decisions. The data centres are mirrored in multiple locations, so in the case of a data centre going offline or being unavailable you are instantly switched to a mirrored data centre with no interruption to your work. In fact, you wouldn’t even know it had happened. And who wouldn’t want that peace of mind? The perfect disaster recovery, without the large bill. And, if you have a company that operates in various countries, and you need to adhere to regional data protection rules, then no problem, Azure datacentres are available in pretty much any region you could need. JH: So overall, we absolutely love the fact we have moved to this environment, and we love even more how it has benefited our business and our work. If you would like to find out more about moving your Invu Document Management system to the cloud, please get in touch john.hulme@yourdms.net. We can personally vouch for how amazing it is! YourDMS are certified Microsoft Cloud Partners.